Prospect Implement has been active in Keenesburg, CO since 1942, when Carl Altergott started the company. A decade or later, son Don took over the company. His son Tim became part of Prospect Implement in 1992. The staff comes from the community, and are farmers, or come from a farming family. Their collective knowledge of tractors and implements is enormous, and they understand their customers needs, be it heavy farm equipment or tractors for hobby farming. But despite their expertise, their existing website was not pulling in leads for them. 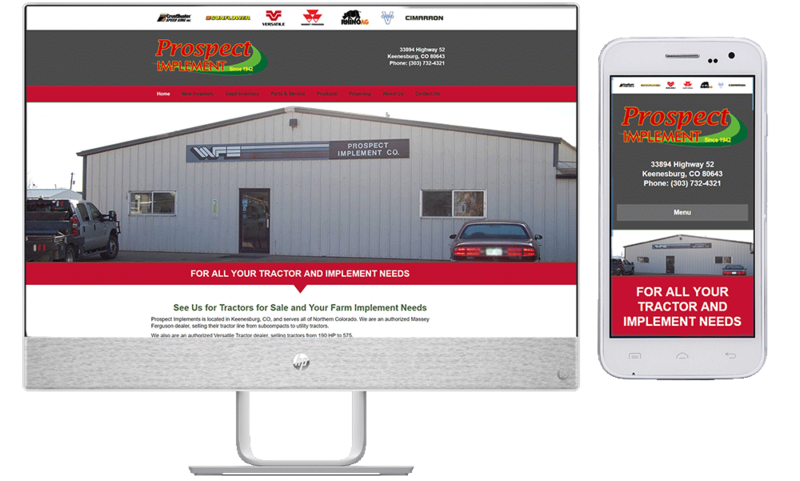 We designed a new site, continually update inventory of new and used equipment. Quality SEO both on- and off-page is paying off: they are now seeing customers who never knew they existed. And those folks are buying tractors, making a big impact on Spring sales for the dealership.